Moshe Ya’alon, Israeli deputy prime minister and minister of strategic affairs, 2007. Over the last decade, Israel has experienced a growing energy crisis. Between 2000 and 2010, Israel’s power consumption has risen by 3.5 per cent annually. With over 40 percent of Israel’s electricity dependent on natural gas, the country has struggled to keep up with rising demand as a stable source of gas is in short supply. As of April, electricity prices rose by 9 percent, as the state-owned Israeli Electricity Company (IEC) warned that “Israelis may soon face blackouts during this summer’s heat” – which is exactly what happened. The two major causes of the natural gas shortage were Egypt’s repeated suspension of gas supplies to Israel due to attacks on the Sinai pipeline, and the near-depletion of Israel’s offshore Tethys Sea gas fields. By late April, a trade deal that would have continued natural gas imports from Egypt into Israel collapsed, sending the Israeli government scrambling to find alternate energy sources to meet peak electricity demands. Without a significant boost in gas production, Israel faced the prospect of debilitating fuel price hikes which would undermine the economy. But the Gaza Marine gas reserves – about 32km from Gaza’s coastline – are unmistakeably within Gaza’s territorial waters which extend to about 35km off the coast. Israeli negotiations with the Palestinian Authority (PA) over the gas reserves have stalled for much of the last decade since their discovery in the late 1990s by the British Gas Group (BG Group). The main reason for the failure of negotiations was Israel’s demand that the gas should come ashore on its territory, and at below market price. Estimated at a total of 1.4 trillion cubic feet, the market value of the reserves is about US$4 billion. On 8 November 1999, the late Yasser Arafat signed a 25-year deal on behalf of the PA, granting 60 percent rights to BG Group, 30 per cent to Consolidated Contractors Company – a Palestinian private entity linked to Arafat’s PA – and finally only 10 percent to the PA’s Palestine Investment Fund (PIF). At first, BG Group signed a memorandum with Egypt to sell them Gaza’s gas through an undersea pipeline in 2005. But the “man of peace”, former UK prime minister Tony Blair – official Middle East envoy of the Quartet – intervened to pressure BG Group to instead sell the gas to Israel. Operation Cast Lead launched in December 2008 was directly, though not exclusively, motivated by Israel’s concerns about the Blair-brokered gas deal. So why Operation Pillar of Defence, and why now? 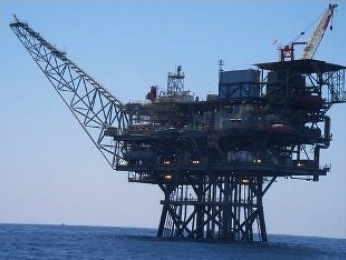 On 23 September 2012, Israel and the PA announced the renewal of negotiations over development of Gaza’s gas fields. But Hamas, still in control of Gaza, stood in the way of these negotiations. Both the PA and Tony Blair “hope to have control of the marine area and levy its own fees and taxes” in partnership with Israel, reported Offshore-technology. Exactly a week before Israel’s assassination of Ahmed Jabari, the head of Hamas’ military wing, Israel’s ongoing energy crisis was in full swing, with the “cash-strapped Israel Electric Corp” – suffering from a shortfall of 1.5 billion shekels – planning to sell a total of 3 billion shekels of government-backed bonds as early as December. Then on 12 November, the PA announced that the Palestinians would formally seek admission to the UN General Assembly as a non-member observer state on the 29th. If granted, the status would add weight to the Palestinian bid for statehood encompassing the West Bank, Gaza and East Jerusalem – pre-1967 territorial lines which would formally impinge on Israel’s ambitions to de facto control and unilaterally exploit Gaza’s largely untapped gas resources. Simultaneously, Israel faced another complication from Hamas. Israeli peace negotiator Gershon Bashkin reports that a proposal he drafted for a longterm ceasefire agreement between Israel and Hamas was on the verge of being accepted by senior Hamas officials, including Ahmed Jabari. On the morning of 14 November – just two days after the PA’s announcement concerning its UN bid – a revised version was being assessed by Jabari and was due to be sent to Israel. Hours later, Jabari was assassinated on Netanyahu’s orders. “Senior officials in Israel knew about [Jabari’s] contacts with Hamas and Egyptian intelligence aimed at formulating the permanent truce, but nevertheless approved the assassination”, Bashkin told Ha’aretz. Indeed, Hamas has its uses. Ya’alon’s fellow deputy prime minister Silvan Shalom once criticised Shimon Peres in a high-level cabinet meeting back in 2001 for advocating “negotiations” with Arafat. “Between Hamas and Arafat, I prefer Hamas”, said Shalom, explaining that Arafat is a “terrorist in a diplomat’s suit, while Hamas can be hit unmercifully … there won’t be any international protests” (Ha’aretz, 4 December 2001). By unleashing the rage of Hamas this November, Israel was able to justify an offensive designed at least in part to begin engineering conditions conducive to its control of Gaza’s offshore gas reserves. But this is just the beginning – many analysts note that Israel is preparing the ground for a wider military assault against Iran. The tentative ceasefire announced on 21 November is, therefore, highly tenuous. If the ceasefire is breached, a military ground operation is still on the cards. With over 140 dead in Gaza, compared to five in Israel, Operation Pillar of Defence has vindicated those in Palestine who think violence against Israel is the only option left.